The king of Saudi Arabia is reportedly shipping an enormous amount of cargo for his forthcoming visit to Indonesia from March 1 to 9. 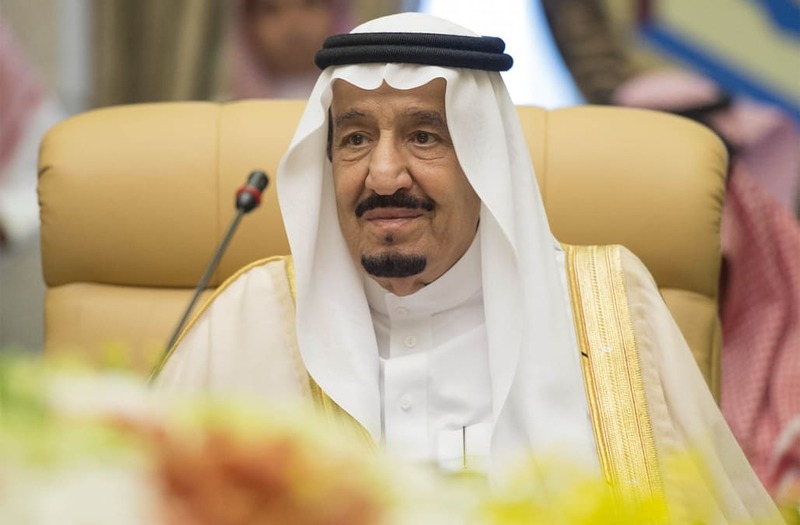 According to the Jakarta Post, PT Jasa Angkasa Semesta (JAS), the freight company in charge, says it is handling 506 U.S. tons of cargo for King Salman bin Abdulaziz al-Saud and his staff. Among the hefty items are a pair of Mercedes-Benz limos and two elevators. Saudi Arabia's King Salman bin Abdulaziz al-Saud arrives at Halim Perdana Kusuma airport on March 01, 2017 in Jakarta, Indonesia. The King is on a historic visit to Indonesia, the first visit by a Saudi head of state in 47 years. The car that brought the group of Saudi King Salman bin Abdulaziz al-Saud heading to Instana Negara Indonesia on March 1, 2017 in Bogor, West Java, Indonesia. The King is in a historic visit to Indonesia, the first visit by a Saudi head of state in 47 years. King of Saudi Arabia Salman bin Abdulaziz al-Saud attends the US - Gulf Cooperation Council (GCC) summit in Riyadh, Saudi Arabia on April 21, 2016. Saudi Arabia's King Salman bin Abdulaziz al-Saud accompanied by Indonesian President Joko Widodo as the king arrives at Halim Perdana Kusuma airport on March 01, 2017 in Jakarta, Indonesia. The King is on a historic visit to Indonesia, the first visit by a Saudi head of state in 47 years. US President Barack Obama (L) speaks with King Salman bin Abdulaziz al-Saud of Saudi Arabia at Erga Palace in Riyadh, on April 20, 2016. Obama arrived in Saudi Arabia for a two-day visit hoping to ease tensions with Riyadh and intensify the fight against jihadists. Saudi King Salman bin Abdulaziz al-Saud attends the Arab League summit in Egypt's Red Sea resort of Sharm El-Sheikh on March 28, 2015. Prince Salman Bin Abdulaziz al-Saud speaks with Berlin's Mayor Klaus Wowereit (not pictured) during a visit to the Brandenburg Gate in Berlin on May 31, 2010. French President Francois Hollande (L) welcomes Saudi Crown Prince Salman Bin Abdulaziz Al-Saud prior their meeting at the Elysee palace on September 01, 2014 in Paris, France. In addition to 620 people in the king's entourage, 800 other representatives are expected to descend on the country at varying times. Sputnik News reports, "The Saudis are expected to sign a deal with Jakarta officials to invest in oil refinery initiatives within Indonesia." The news outlet also says that "the deal could be worth up to $25 billion." It has been 46 years since a Saudi king last visited Indonesia, notes the Washington Post.